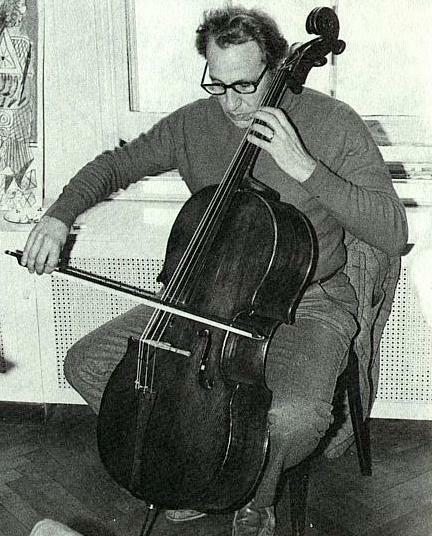 David Soyer, cellist, was born in Philadelphia, February 24, 1923. He began piano at the age of nine, and cello at the age of 11. His teachers included Emmet Sargent, Joseph Emonts, Diran Alexanian, Emanuel Feuermann, and Pablo Casals. Chamber music has been a special love from the age of 12. He studied chamber music with Adolfo Betti of Flonzaley Quartet. Before joining the Guarneri Quartet in 1964 he performed with the Bach Aria Group, Guilet String Quartet, New Music Quartet, and Marlboro Trio. He debuted with the Philadelphia Orchestra in 1942, performing Bloch's Schelomo, with Eugene Ormandy conducting. The Quartet has been featured on many television and radio specials, documentaries and educational presentations both in North America and abroad. It was interviewed by Charles Kuralt on CBS' nationwide television program "Sunday Morning", in the summer of 1990. A full-length film entitled "High Fidelity-The Guarneri String Quartet" was released nationally, to critical acclaim, in the fall of 1989. (The film was directed and produced by Allan Miller who was also the director/producer of the Academy Award-winning documentary, "From Mozart to Mao," which dealt with Isaac Stern's visit to China.) 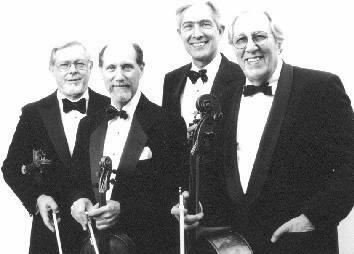 The Quartet is also the subject of several books including "Quartet" by Helen Drees Ruttencutter (Lippincott & Crowell,1980) and "The Art of Quartet Playing: The Guarneri in Conversation with David Blum" (Alfred A. Knopf, 1986). The Guarneri String Quartet has recordings on the Philips and Arabesque labels. Their most resent release on the Arabesque label is that of Schubert's Quartets Nos. 13 in A Minor Op. 29, and 14 in D Minor, D. 810 "Death and the Maiden." Several of their recordings on both RCA Red Seal and Philips have won international awards, including their recording of Juan Crisostomo de Arriaga's String Quartets Nos. 1-3 (Philips), which won the 1996 Deutsche Schallplattenkritik Award in Germany. Among their other award winning recordings are collaborations with such artists as Artur Rubenstein, Pinchas Zucherman and Boris Kroyt and Mischa Schneider of the Budapest Quartet. The Dallas Morning News summed up the Guarneri when it headlined the review "Quartet is Really Quite Perfect," and went on, "The men of the Guarneri are today's aristocrats of the chamber music world. There was never a forced phrase or a hint of harshness, while interpretatively there was a certainty and urbanity to the performances that made everything during the evening ring with inevitability. It is this sort of attention to detail, this sort of preparation that tells the tale of a Guarneri performance. Yet for all the meticulousness of its performances, what one departs with is a flowing, ebbing impression of the music, not the thought that went into it. And where does that leave someone paid to write about such a concert? Feeling like a fifth leg on a table--absolutely dispensable." Besides his work with the Guarneri Quartet, Mr. Soyer has appeared in recital with Rudolf Serkin, Peter Serkin, Meiczyslaw Horzowski, and Andras Schiff. He has also been soloist with the major orchestras of the world. He has appeared at many of the world's famous festivals, including Marlboro, Spoleto, and Israel festivals, and has numerous recordings to his credit. Mr. Soyer plays a Gugliano cello from Naples, Italy, 1778. This is a freepage, compliments of webmaster and the Internet Cello Society.